Veterans Radio is dedicated to all the men and women who have served or are currently serving in the armed forces of the United States of America. Hosts, Bob Gould & Dale Throneberry, have a mission to see that the world appreciates what extraordinary things ordinary people have done to gain and preserve the freedom we assume everyone enjoys - and the ultimate price that is often paid. Veterans Radio includes listener's stories and experiences, not only while in the service, but afterwards as well. Interviews with guest speakers and authors are a weekly feature. 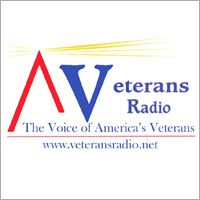 The content of the programs on Veterans Radio is ultimately determined by the listeners.